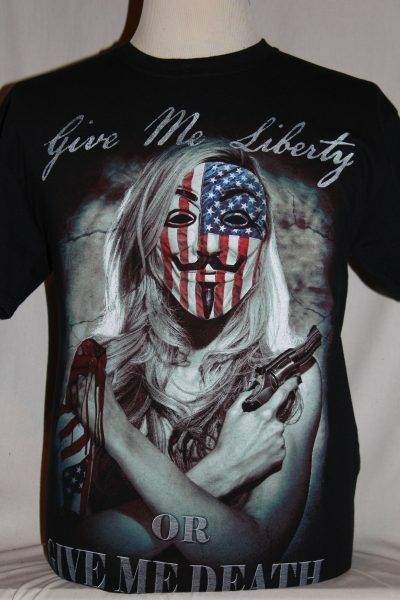 The Give Me Liberty Or Give Me Death is a single sided print in black. 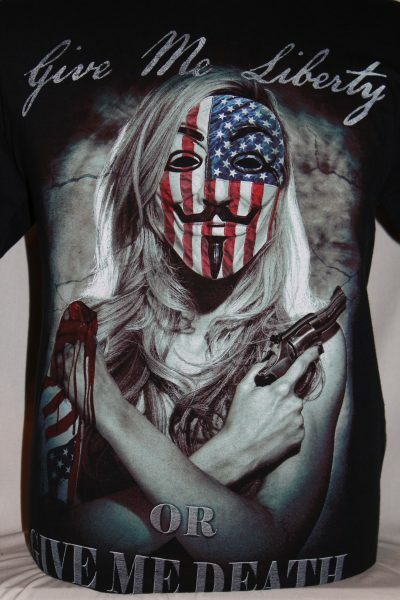 Front Design Only: Girl with American flag mask. Revolver and text.